i believe this was shot in may 1988, on my first trip to china which began the group of work that has been the most important to me. 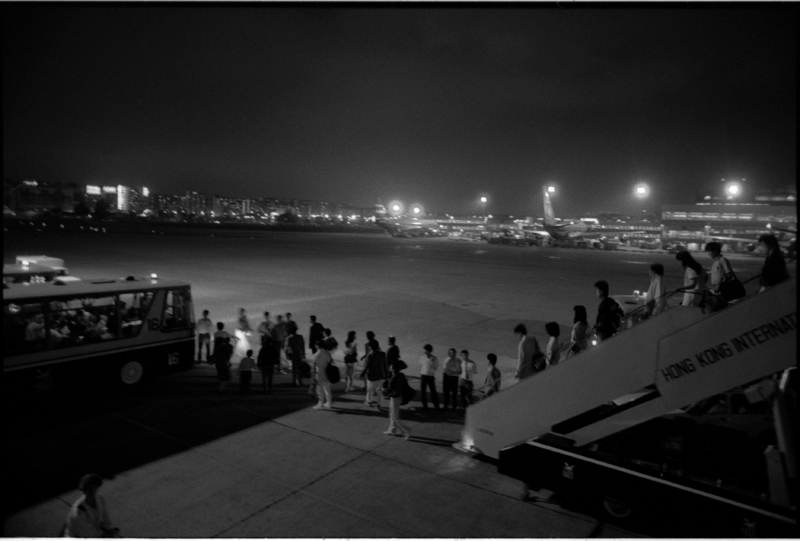 this was taken on a very humid hong kong evening as my mother, my aunt and i were exiting the jet at the old hong kong airport, the one where you flew between the highrises as the jet made its landing. i wonder if the pilots practiced on aircraft carriers before landing at hong kong. hong kong was very high energy at that time, still british, a fantasyland for me and the buffer between the west and communist china.